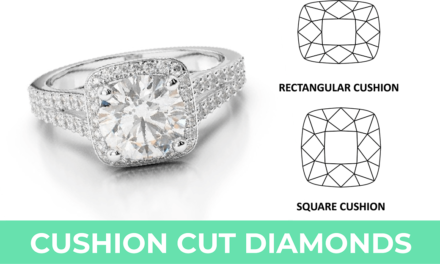 Please note that this blog post refers to round cuts diamonds, not to other shapes such as cushion cut or emerald cut diamonds. If you’re smart you’ll spend time looking around and searching online. 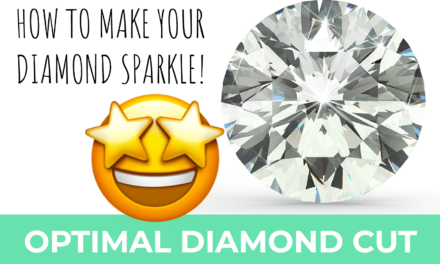 Do your homework and you should be able to find a good quality diamond that you can afford. Looking at a 1-carat investment-grade round shaped diamonds the prices range from $13,000 up to $16,000. For fancy shapes the price range can be from $11,000 up to $14,000. The higher prices are for GIA-graded 1-carat colorless (D) flawless (FL) diamonds with an excellent cut and no fluorescence. 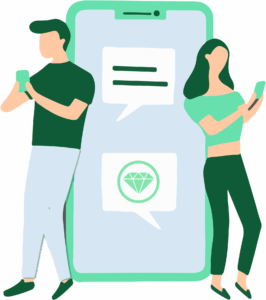 As with so many businesses, the Internet changed the diamond industry. In the past retailers marked their diamonds up 200%. Those days are gone now that shoppers go online to compare prices before buying a diamond. However, that’s not the whole story! 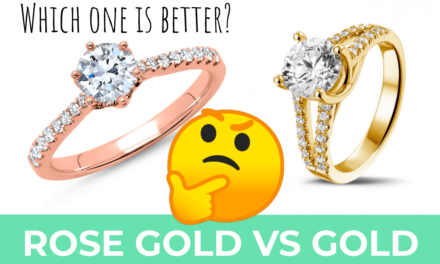 The vast majority of online retailers do not actually own the diamonds they are selling. In fact, they are all very likely working with the same diamond dealers. They are basically acting as middlemen. The only difference between them is their markup. James Allentypically charges a 15-25% markup. These percentages are much lower than most brick and mortar jewelry stores that charge higher prices because they add 50-80%. 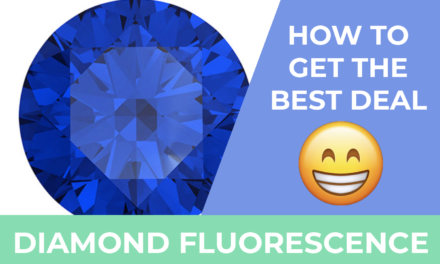 Budget Option: 1-Carat GIA Graded Round Diamond with H Color, SI1 Clarity, Very Good Cut and Medium Blue Fluorescence; average price is around $4,700. Investment Grade Option: 1 Carat GIA Graded Round Diamond with D Color, Excellent Cut, and No Fluorescence; average price is $15,500. Budget Option: 1.01 carat GIA Certified Princess Cut I-Color Diamond with SI1 Clarity, Good Cut and No Blue Florescence; average prices range from $2,900 to $3,000. Investment Grade Option: 1 Carat GIA Graded Fancy Shape, D Color, IF Clarity, with Oval Cut and Faint Fluorescence; average price is $8,000. Most good-quality, elegantly cut 1-carat diamonds are absolutely stunning. The price tag on such diamonds can range anywhere from $1,000 to $15,000. With such a large price range, this information may not be of much help. The problem is that in the diamond industry, you can’t be sure of anything. Two similar diamonds in terms of carat weight and cut may carry significantly different price tags. However, it is quite clear that buying a diamond of this size is quite a huge investment. 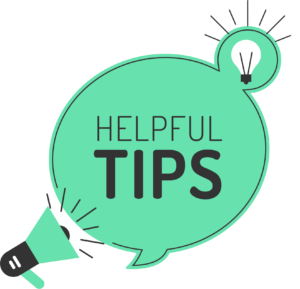 Therefore, it is vital that you make certain that you aren’t getting defrauded. 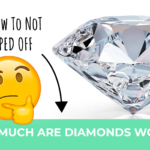 You do not want to spend a ton of money on a fake diamond or one worth a lot less than you were told. 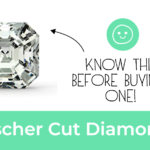 Before buying a diamond it’s best to play it safe! The easiest way to do this so you don’t get ripped off is to insist on seeing the diamond certification. 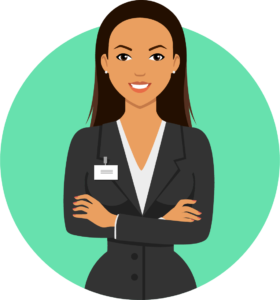 A GIA certification is your best option by far, as it’s the most respected. In addition to the diamond’s paper certification, you should also ask to see its certification number. It is meticulously inscribed on the actual stone where it hardly ever visible. The Gemological Institute of America is the organization issuing GIA certifications. This non-profit has a long history of certifying diamonds, going back to 1931 and is headquartered in Carlsbad, California. 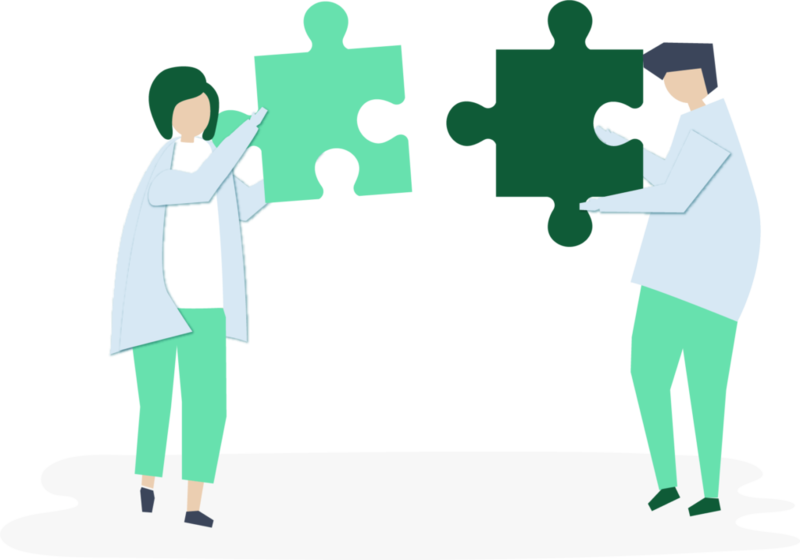 There are approximately 1,400 research professionals working for the institute in offices located all over the world. The entire purpose of the GIA is to safeguard innocent consumers from being defrauded by dishonest diamond dealers. 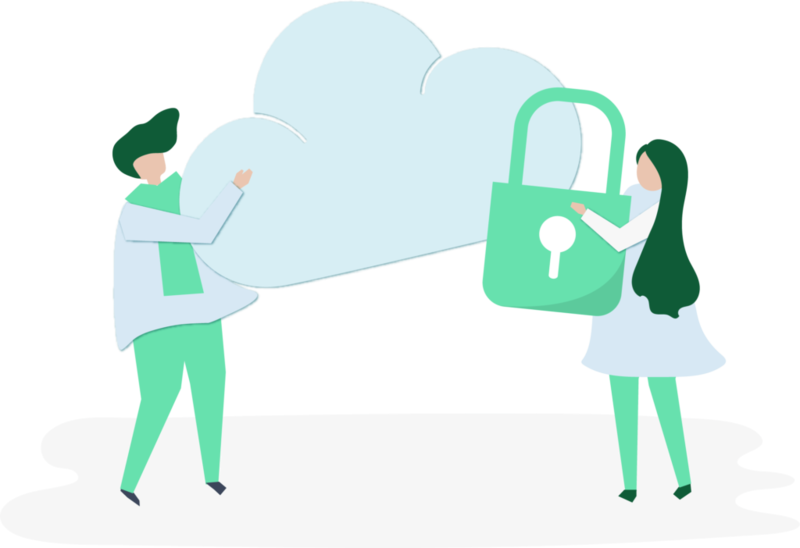 Over the years they’ve developed a solid standard to ensure that the GIA certification is honest, accurate, and impartial. It is the gold standard when it comes to assessing the diamond shape, carat weight, cut, color and clarity. 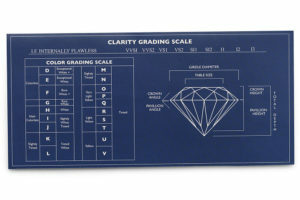 As discussed above, the diamond price is determined by the stone’s 4Cs plus its certification, shape and fluorescence. 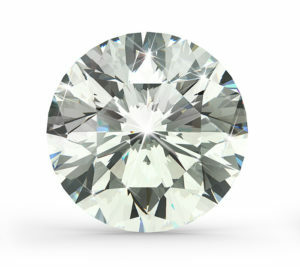 The 4Cs stand for number of carats, cut, color and clarity. A diamond’s carat weight is the most discussed of the various Cs. It indicates the weight of the diamond with 1 carat being equal to 200 milligrams. Therefore, a strong correlation exists between a diamond’s carat weight and size. However, it’s important to understand that a diamond’s carat weight doesn’t determine its size in every case. Just as someone of short stature can be heavier than someone taller, a 1-carat diamond can actually be smaller than a 0.90-carat diamond. This could happen if the 0.90-carat diamond had a wider circumference or a deeper pavilion. These tiny differences would be very difficult to discern when looking at the stone with the naked eye. As you can see a diamonds price isn’t determined by price per carat, rather it is determined by weight categories. It is widely accepted that a 1-carat diamond is the perfect carat weight for the center diamond in a setting. This is especially true of engagement rings. 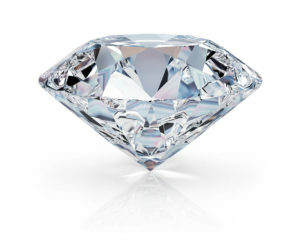 Larger diamonds usually cost more than smaller diamonds because they’re relatively rare. This justifies the higher price when you realize how much easier it is to find smaller diamonds. Some buyers have noticed that a 1-carat diamond can cost nearly 50% more than one with a 0.95-carat weight. A careful shopper chooses a ring with a diamond slightly under 1.0 carat and saves a fortune! There is hardly any difference in the wow factor of a 0.95-carat and a 1-carat diamond. The truth is, you’d have to be a professional diamond expert to distinguish any difference at all. Other careful shoppers often decide that ring settings designed around clusters of really small diamonds make more sense. The cost of a ring with a cluster of 0.25-carat diamonds will be a lot less than one with just a single 1-carat diamond. This holds true even if the total weight of all the small diamonds exceeds 1.0 carat. 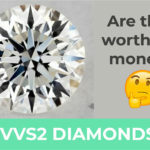 Knowing these differences in how the 4Cs can influence diamond prices will help you get the most for your money. 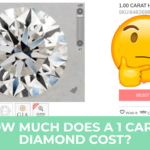 So, how much does a 1 carat diamond cost? 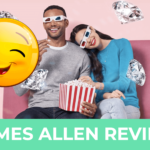 Below are some answers to consider when shopping for a diamond on sites such as James Allen or Blue Nile. Be flexible when it comes to color grades.Everyone would love to have a GIA certified D-color diamond with no inclusions, but few could afford the price. With some flexibility on color grade you could certainly lower the price. Buying a diamond of excellent quality with a slightly lower color grade can save you a ton of money. Don’t be put off by inclusions. Then we speak about inclusions, blemishes or flaws, we are often quick to assume the diamond is inferior. This is very narrow thinking. More often than not, you can’t even see the inclusions in a diamond. Furthermore, two diamonds with the exact same clarity often have distinctly different types or numbers of inclusions. 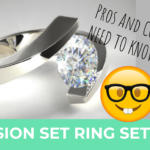 Do yourself a favor and closely examine the diamond’s inclusions before turning it down. Do not hesitate to ask for a microscope to better examine the stone before you consider buying. Consider a variety of shapes. 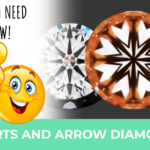 Diamond shape significantly impacts diamond cost. Round diamonds have always been way up there in terms of price, just below the princess cut. 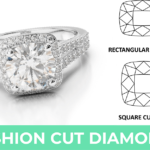 The reason for the high price is that diamond cutters are forced to waste a lot of the stone cutting it into a round shape. Round diamonds are not formed in nature. Rather than just considering round diamonds, wouldn’t it make sense to look at ovals? 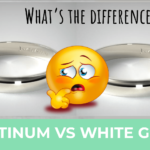 An oval diamond with the identical rating of a round can actually be one-tenth the price, which is a huge savings. NextHow Much Are Diamonds Worth?